Good sturdy bucket and wringer. 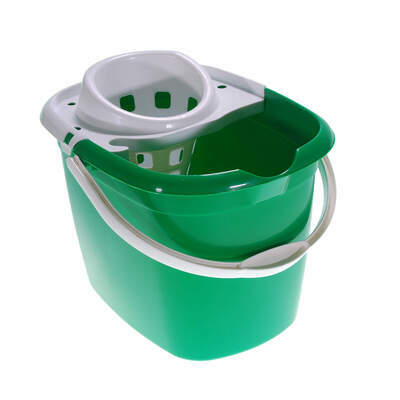 Practical and economic, this Plastic Mop Bucket has been manufactured to support your janitorial team. 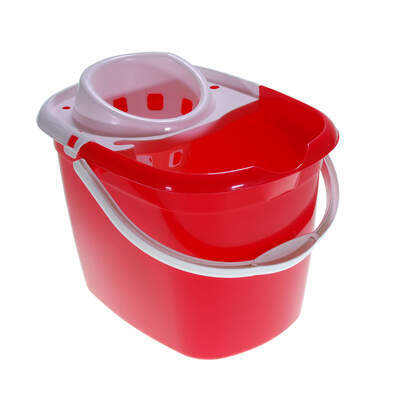 Available in a range of colours to help with your contamination zone control, it has been specially designed to carry up to 15ml of water and detergent. 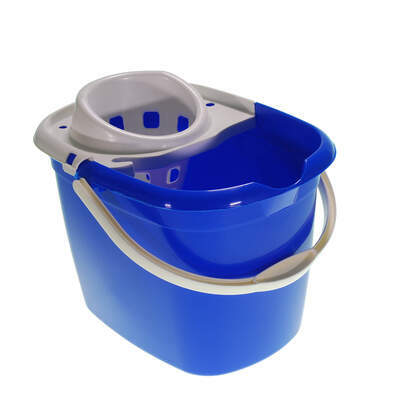 The caged lid is suitable for wringing out excess water from a wide variety of mop heads while the smooth surface is easy to sanitise after use. A durable and easy-grip handle helps with transportation and flattened base supports it sturdily while you wash. 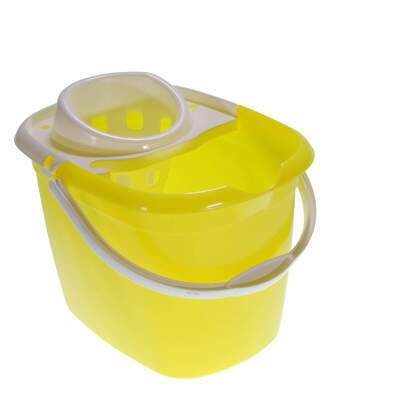 Which colour mop bucket to choose? Here at Gompels, we also stock a range of Mop Heads and Handles to pair with your mop bucket. In addition to these, our own branded Gompels Lemon Floor gel offers an economic alternative to Flash Professional Delicate Surfaces - both available online here at exceptional wholesale prices.